Why Deming? — Kelly Allan Associates, ltd.
Then, one day they discovered the management teachings of Dr. W. Edwards Deming. 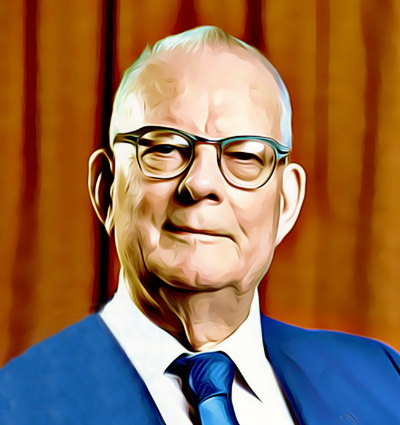 For years they worked diligently to learn what Deming taught about how to operate an organization from top to bottom –and in every area of the organization whether it was operations, sales, HR, accounting –you name it. Every day since then, they have applied Deming’s methods to all the consulting they do. We enjoy working with all 3 types of people and organizations. Perhaps the most challenging group is the 3rd group because they believe they are "doing Deming" because they have a quality department, or are engaged in Lean/Six-Sigma. It's great that they are focused on quality and quality tools because that focus has provided organizations with significant competitive advantages. Yet, those same organizations are limiting their future competitiveness and success because they are ignoring about 80% of Deming's methods. Again: Yes, Lean/Six-Sigma and other technical quality tools/approaches are very powerful ways to get results. But, they represent only about 20% of what Deming taught. We think it's time to pick up the rest of the gold that Deming left us. Full disclosure: Kelly Allan is the Chairman of the Advisory Council of The W. Edwards Deming Institute®, a 501(c)(3) non-profit organization that has as its aim to spread the understanding of Deming's System of Profound Knowledge® to improve all aspects of life and to advance commerce, prosperity, and peace. Kelly Allan is also a Senior Facilitator of Deming Institute's 2.5-day seminars. Copyright © 1996-2017, Kelly Allan Associates, Ltd. Columbus, Ohio. All rights reserved.